This porcelain lamp has a classic elegant shape highlighted in its center by a crumpled decor made from a base of real hand applied silver making each lamp unique. 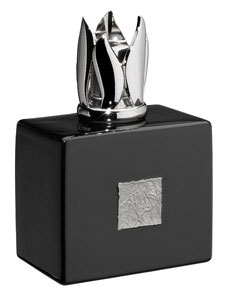 The lamp comes in a nice Lampe Berger gift box with a burner, funnel and instructions. Height: 6"